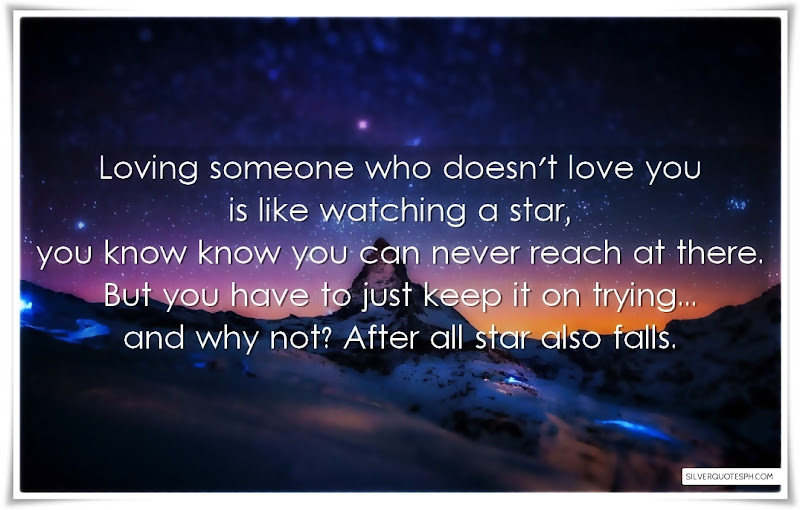 Loving someone who doesn't love you is like watching a star, you know know you can never reach at there. But you have to just keep it on trying... and why not? After all star also falls.